What woman can do without a little black purse? Especially one as useful as this! 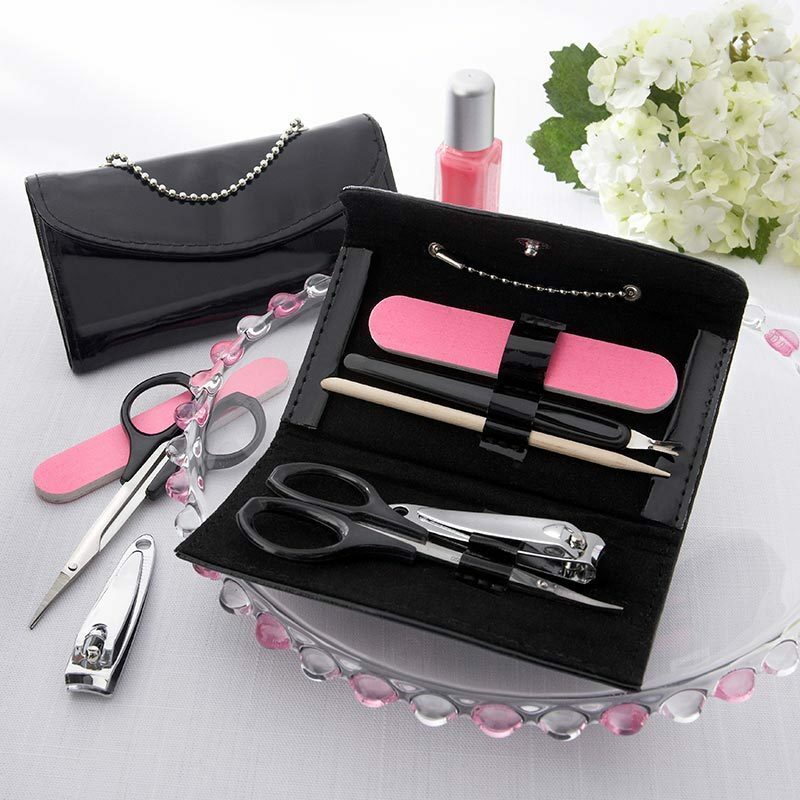 Our "little black purse" manicure set favor includes a: nail file, cuticle pusher, orange stick, nail clipper and scissors. All at a very low price for these high quality items. Each shiny patent-leather purse has chain handle and snap closure and its interior is lines with soft, black velvet. When close the purse measures 2 1/4" h x 4 1/4" w x 1” d and when opened, 4 1/4" h x 6 1/4" w.
Please allow 5 business days to fulfill your order. Then add ship time from GA.